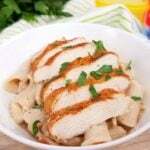 Weight Watchers cajun chicken alfredo is a family friendly healthy dinner recipe. This spicy twist on your favorite chicken alfredo is versatile and easy to make! 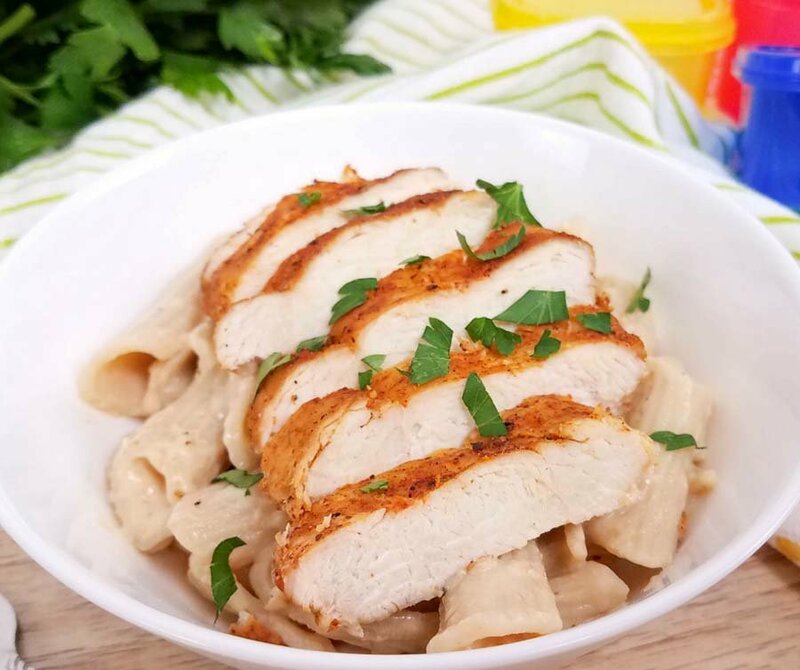 When the craving for pasta strikes you will definitely want to have this Weight Watchers cajun chicken alfredo recipe on hand. Much like my Weight Watchers Tuscan chicken pasta, this recipe is easy to make, indulgent, and Weight Watchers friendly! How many points are in this Weight Watchers cajun chicken alfredo? First things first: how many points, am I right?! That’s always the main question so let’s take a look at how many points we need for this Weight Watchers dinner recipe and some ways you can try and lighten it up even more if you like! This recipe makes 6 servings and each serving is 6 Freestyle Smart Points. There are some easy ways to reduce that number though! What kind of ingredients should I use for this Weight Watchers chicken alfredo? The recipe is calculated with regular versions of Greek yogurt, and cottage cheese. If you use the fat free or low fat versions you’ll be able to drop quite a few points. You can also reduce the amount of pasta you are using to half and add more chicken. 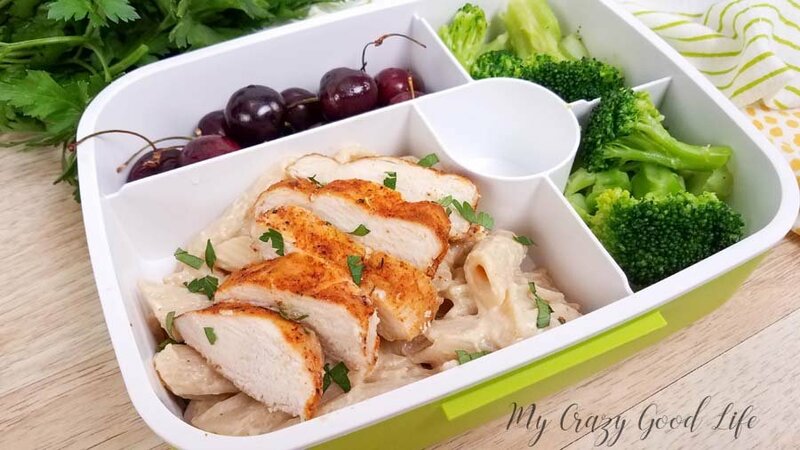 Since the low fat or fat free versions are lower in points or free, you’ll see a nice reduction in points for this delicious and healthy cajun chicken alfredo recipe. How do I figure out the Freestyle Smart Points for this Weight Watchers cajun chicken alfredo? I use the Weight Watchers online recipe creator for all of my points calculations. You can see above the changes that I recommend for lowering the points. If you make those changes you’ll need to recalculate. I recommend you use the Weight Watchers recipe creator so you can know for sure what the points are for each recipe. They’re going to have the most accurate information available. Do you have any other Weight Watchers Freestyle recipes I can try? I do! I love creating recipes for 21 Day Fix and Weight Watchers, these are just a few of my favorite Weight Watchers dinner recipes that have Freestyle Smart Points calculated and ready to go! While it’s heating, coat chicken with olive oil and cajun seasoning, when the IP is hot (it should actually say “hot”),sauté the chicken for about 3 minutes per side. You’re wanting it to get a little crispy here. Next, add 3 cups of water to deglaze the inner pot. Add the pasta and stir. Place the trivet over the pasta. Add the chicken to the trivet and make sure it’s not touching the water. Close and seal your Instant Pot lid. Cook on the manual setting for 5 minutes, then do a natural pressure release. While the pasta is in the Instant Pot, add together the ingredients for the alfredo sauce and set to the side. Take the chicken out of the pot and slice it, and while the noodles are still hot add in the cheese and the sauce you mixed up earlier. Stir until all the cheese is melted and serve immediately. Top with the sliced chicken. Can I make this Weight Watchers cajun chicken alfredo on the stove? You sure can! This recipe is easy to make in a couple different ways. These are the stove top instructions which require a little more monitoring but are still easy to use for a quick weeknight dinner recipe. Coat chicken with oil and seasoning. Add to a heated large skillet, high heat. Cook 3 minutes per side until crispy. Remove from the pan when done and set aside. Add water to the pan and deglaze. Add in the pasta and the chicken. Bring the water to a boil, cover, and reduce heat to medium low. You want it to keep simmering. Allow to cook for 15 minutes, stir occasionally. Make sure the pasta and chicken are cooked through before removing from the heat altogether. Pull out the chicken and slice. Mix ingredients for the sauce and then pour it and the cheese over the pasta. Serve while warm and add your sliced chicken to the top! 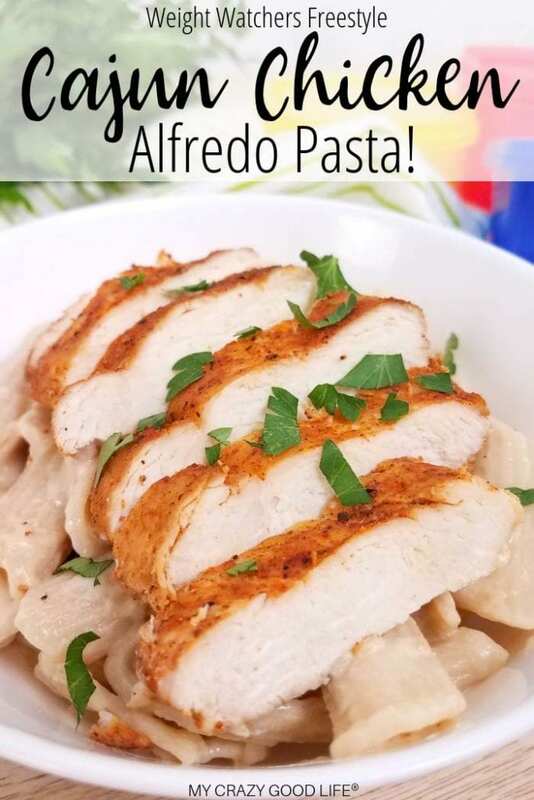 Is there a Crockpot version of this Weight Watchers chicken alfredo? You bet! I like to make sure you can cook my recipes up in whatever way works best for you. There have been some issues with the pasta in the crockpot version so make sure you use whole grain noodles for this version of the instructions. They hold up better and you’ll avoid everything going to mush! In a large skillet over high heat cook the chicken (coated in seasoning and oil) for 3 minutes per side until crispy. Remove from the pan and set aside. Next, add your water to the slow cooker along with the chicken. Cover and cook on low for 2-3 hours. Add the pasta during the last 30 minutes of cooking time. Remove the chicken and slice it up. Mix up the ingredients needed for the alfredo sauce. Pour over the pasta in the slow cooker and mix in the parmesan cheese. Add in the sliced chicken and serve warm! Can I use this Weight Watchers Freestyle recipe for meal prep? There’s just something about this pasta recipe that tastes SO amazing after a day in the fridge. SO definitely add this to your list of Weight Watchers meal prep recipes. 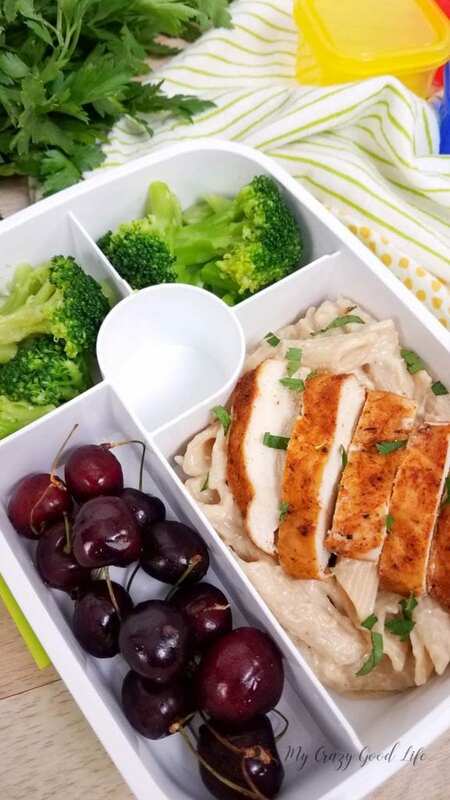 Healthy cajun chicken alfredo is a great meal prep for the week. It travels well and can be reheated in the microwave so you won’t have to consider an unhealthy lunch or dinner option with this all prepared ahead of time and ready to go. Adjust until "more" is showing under the display. Coat chicken with olive oil and cajun seasoning, when the IP says hot you can sauté the chicken for about 3 minutes per side. Once it's done set it aside. Next, add 3 cups of water to deglaze the inner pot, add the pasta and stir. Place the trivet over the pasta. Add the chicken to the trivet and make sure it's not touching the water. Put on the lid and set it to sealing. Use the manual setting for 5 minutes, do a natural pressure release. While that cooks, add together the ingredients for the alfredo sauce, set aside. Take out the chicken and slice it, while the noodles are still hot add in the cheese and the sauce you mixed up previously. Stir until all the cheese is melted and serve immediately. Top with the sliced chicken. Coat chicken with oil and seasoning. Add to a heated large skillet, high heat. Cook 3 minutes per side until crispy. Remove from the pan when done and set aside. Add water to the pan and deglaze. Add in the pasta and the chicken. Bring the water to a boil, cover, and reduce heat to medium low. You want it to keep simmering. Allow to cook for 15 minutes, stir occasionally. Make sure the pasta and chicken are cooked through before removing from the heat altogether. There have been some issues with the pasta in the crockpot version so make sure you use whole grain noodles for this version of the instructions. They hold up better and you'll avoid everything going to mush! In a large skillet over high heat cook the chicken (coated in seasoning and oil) for 3 minutes per side until crispy. Next, add your water to the slow cooker along with the chicken. Add the pasta during the last 30 minutes of cooking time. Mix up the ingredients needed for the alfredo sauce. Pour over the pasta in the slow cooker and mix in the parmesan cheese. Add in the sliced chicken and serve warm! Previous Post: « The Easiest Carne Asada Tostadas Ever! I love this! I can’t believe it’s only 6 points…it’s now one of my go to meals while I’m on WW. I love the addition of the cajun seasoning to chicken alfredo! Thanks for a great recipe!